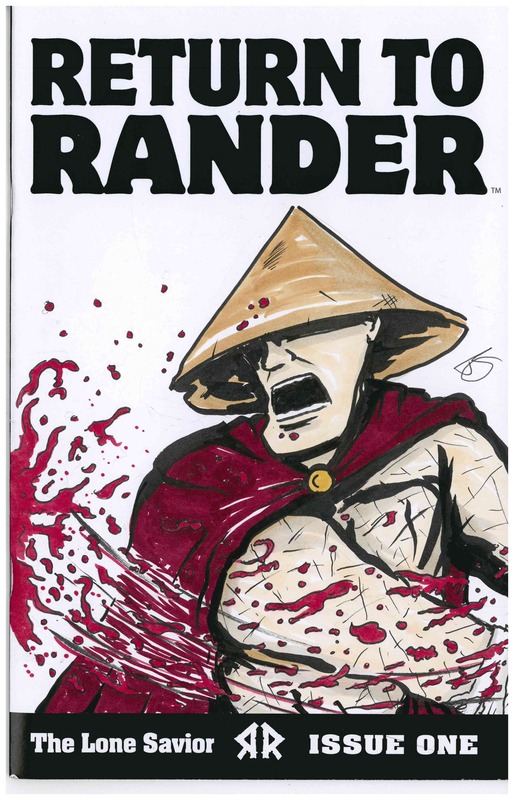 This week on Sunday in Rander, I share with you some sketch covers that I did for issue #1. They were done with copic sketch markers directly on the comics. Enjoy! 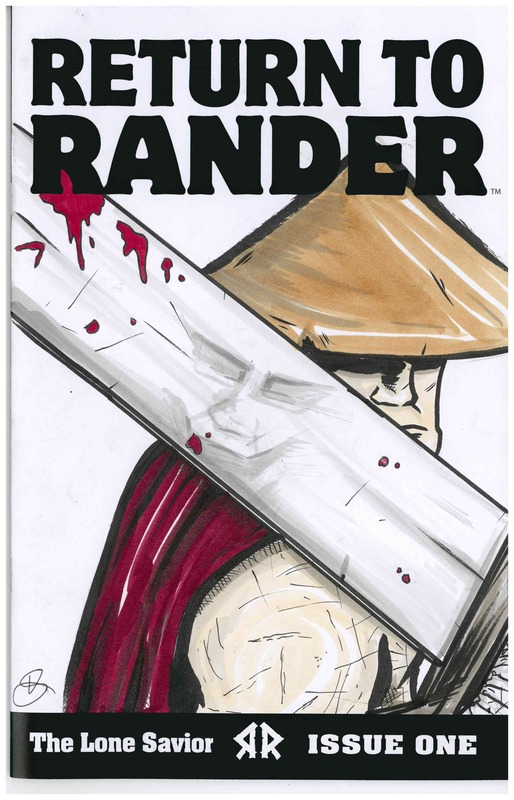 The status update for issue #2 is that all of the artwork will be completed by September 1st! Then the issue begins post production. See you next week! 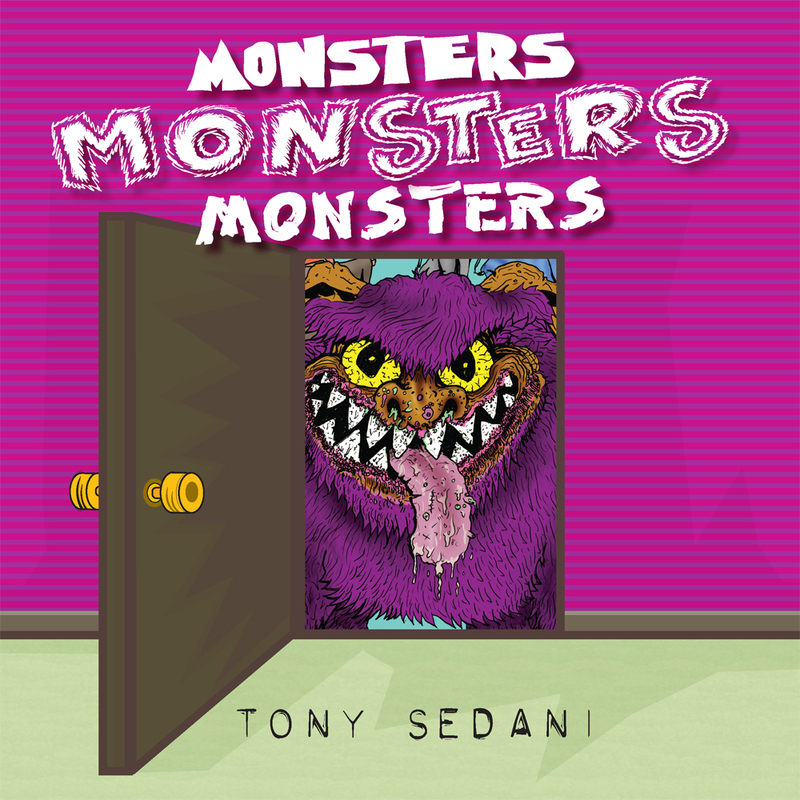 I realized I never actually posted the cover to my gross Monsters Monsters Monsters book. So here is the cover. The actual physical book has a cut out door way, so when you open the cover, the inside page has the expanded art of the monster. Can you guess where the inspiration for him came from? If you dare to purchase this book, check out my online store. 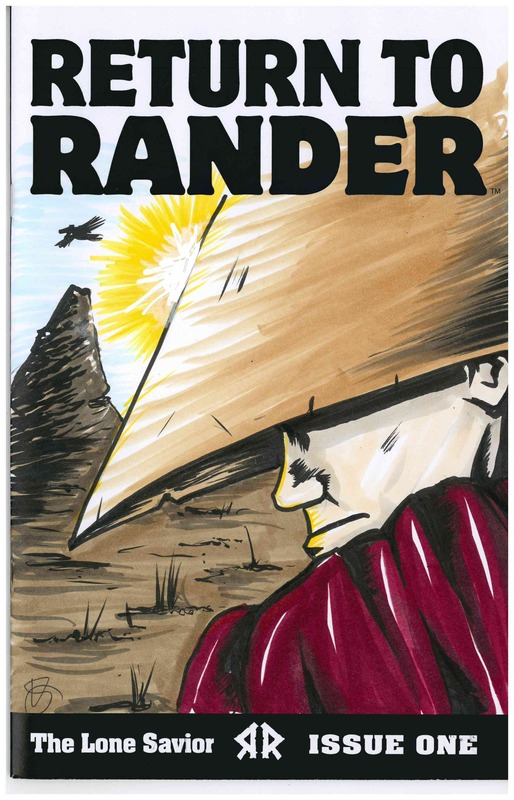 Wrapping up this great weekend is another edition of Sunday in Rander. This week I bring you another mini strip. Another bar tale. Another look at “The Matador”. These little mini’s are a fun way to do warm ups or draw something else when I get bored of doing regular pages. 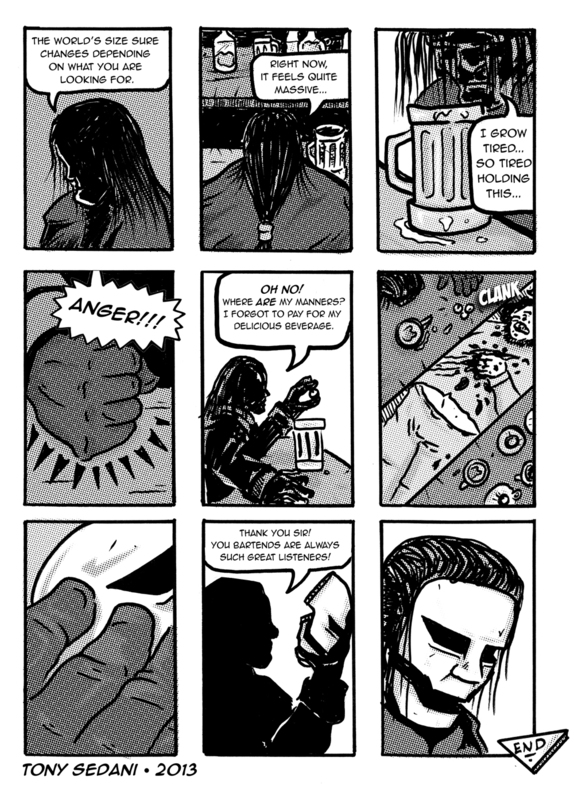 I also love mini comics because they convey a small idea, something that you wouldn’t need to spend more time on. 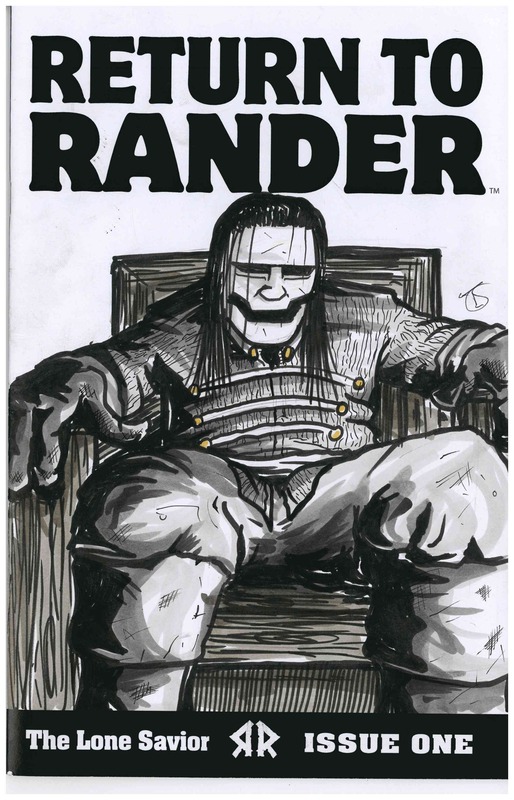 Keep your eyes peeled soon for a very special Sunday in Rander where I will be revealing the cover to issue #2! 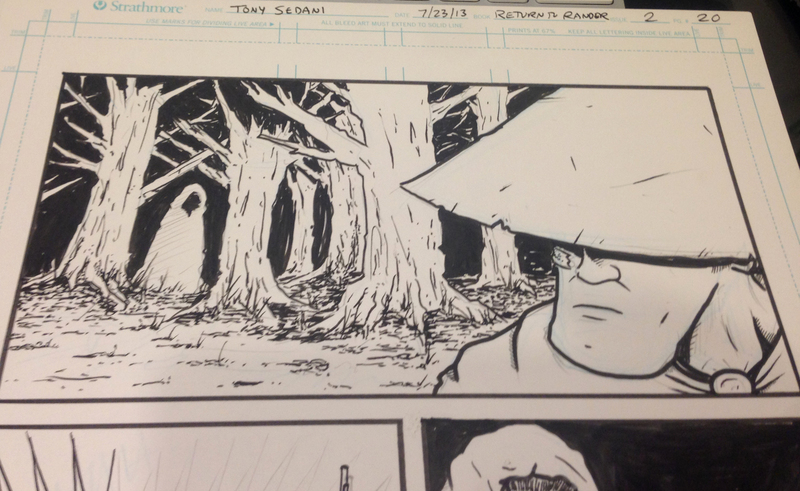 After the intense Boston Comic Con, I found my stride again and as of today finished page 22! That means there are only 4 pages left to create of Issue #2. Since I haven’t shown much of issue 2, here is a random panel. Who is this mysterious character following our hero? 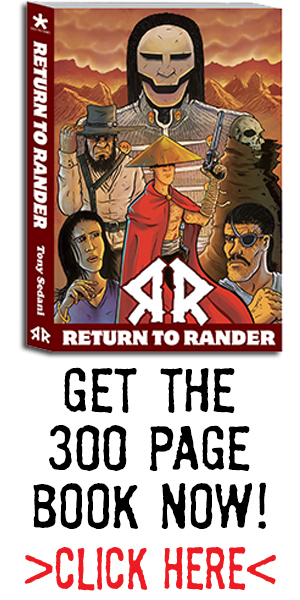 And remember, Return to Rander is on comixology for just .99 cents! And further issues will be available there as well. So get your digital comic on! 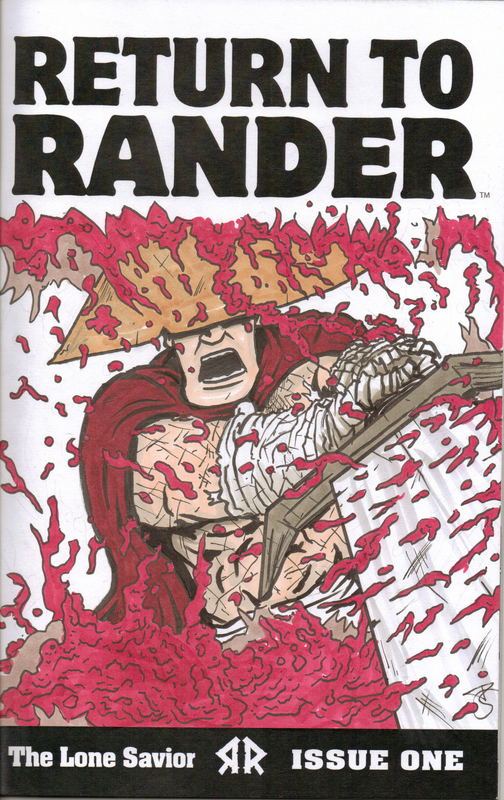 Did another one of these good ol sketch covers. If you look hard enough you can buy it on ebay! Typical copic pens and sketch markers as per ususal! Whoops, forgot to post something yesterday because I was so busy with Boston Comic Con and hanging with all of my talented friends! 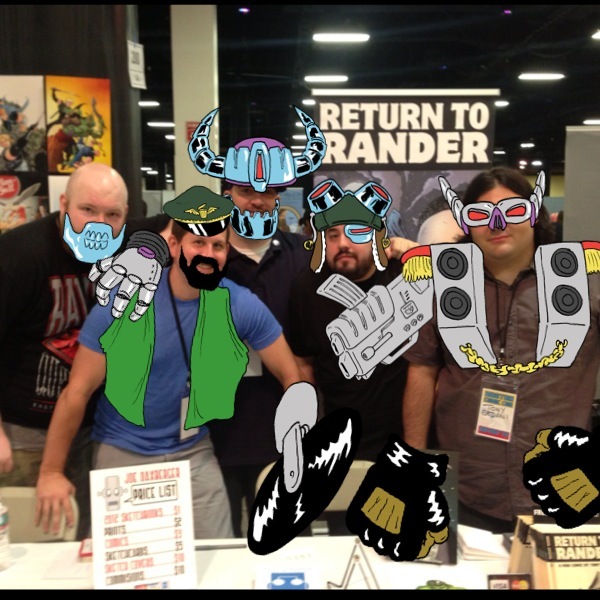 Here is a pic of all of us at our booths! The weekend was a success, and the issue has been put into many more hands! 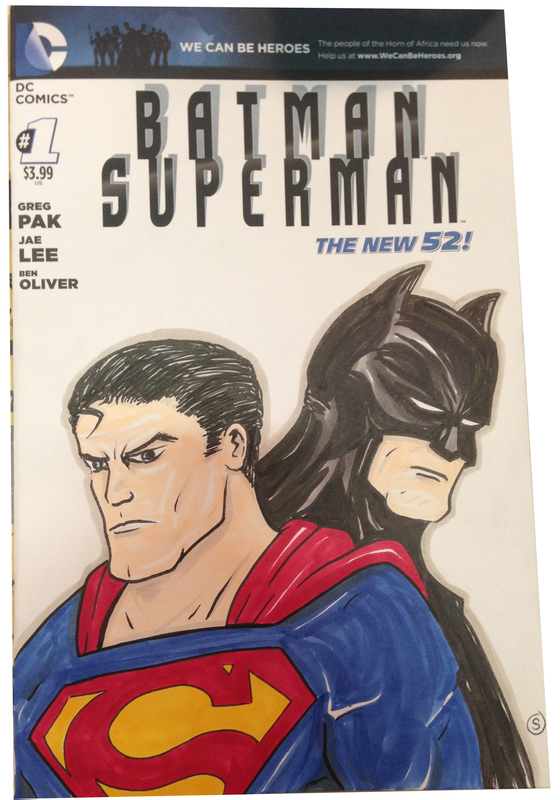 I sold just 1 sketch cover with a custom sketch on it. 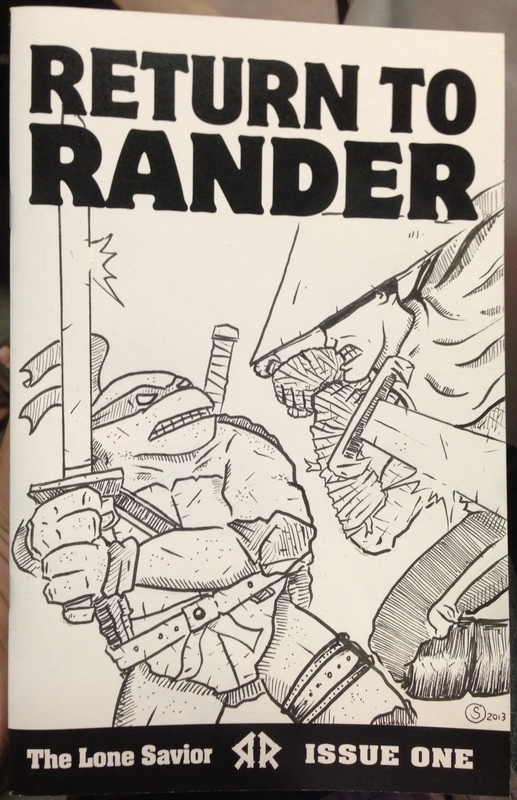 He wanted a Ninja Turtle Rander mashup!